Every cabinetry situation is unique. 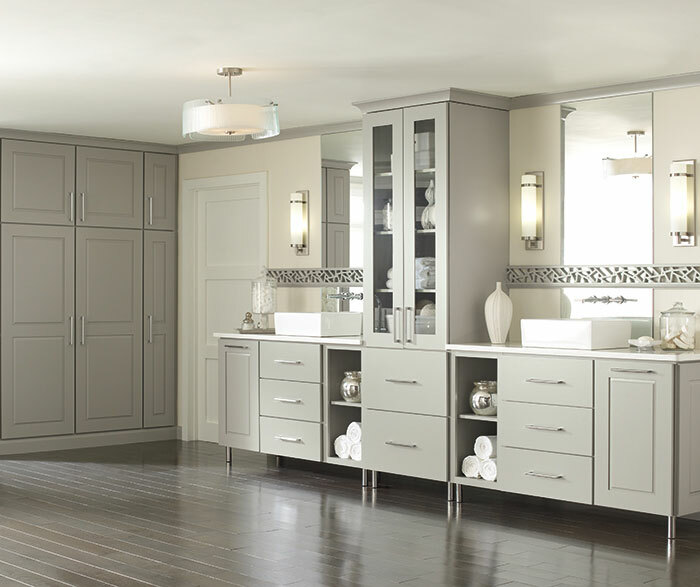 This bathroom/dressing room featuring Toulan gray cabinets expresses a European pedigree with a practical outlook in its variety of storage shapes and sizes. Accessories enhance the verve.